Arrive at Cochin airport/railway station and transferred to hotel. Check in the hotel and relax for some time. In afternoon proceed to half day sightseeing of Chinese fishing nets, the St. Francis Church, Mattancherry Palace and the Jewish Synagogue. After sightseeing back to the hotel. Evening is at leisure for your individual activities. Overnight stay at the hotel. 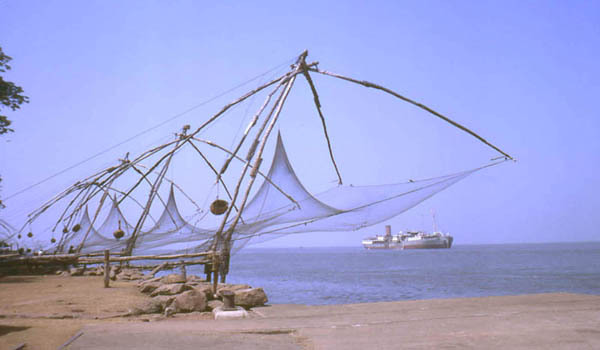 After Breakfast proceed to full day sightseeing of Cochin which covers Dutch Palace, Bolghatty Palace, Fort Kochi beach and explore the local market for shopping. In evening enjoy the kathakali Dance Performance. Later back to the hotel. Overnight stay at the hotel. After Breakfast proceed to half day sightseeing of Munnar which include the charming old Christian Church with its original fourteen rows of wooden pews and mattupetty lake. Rest of the day is at leisure for your individual activities. Overnight stay at the hotel. After Breakfast check out the hotel and proceed to Thekkady. On arrival check in the hotel and relax for some time. 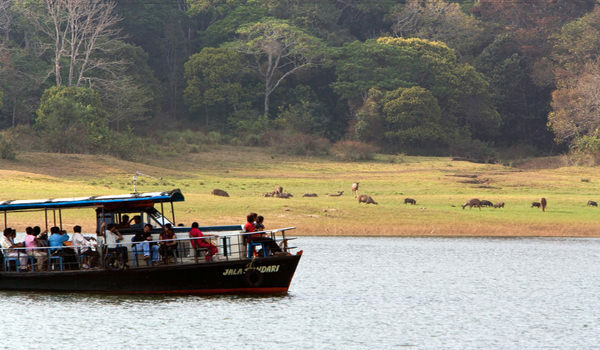 Rest of the day is at leisure for your individual activities and you can also take a boat cruise on Lake Periyar which is the best way to locate wildlife in Periyar Sanctuary. Overnight stay at the hotel. After Breakfast check out the hotel and proceed to Kumarakom. On arrival check in the hotel and relax for some time. Rest of the day is at leisure for your individual activities. Overnight stay at the hotel. After Breakfast proceed to half day sightseeing of Kumarakom Bird Sanctuary, an ornithologist’s paradise is favourite haunt of migratory birds like the siberian stork, egret, darter, heron and teal. After sightseeing back to the hotel. Evening is at leisure for your individual activities. Overnight stay at the hotel. After Breakfast check out the hotel and proceed to Alleppey. 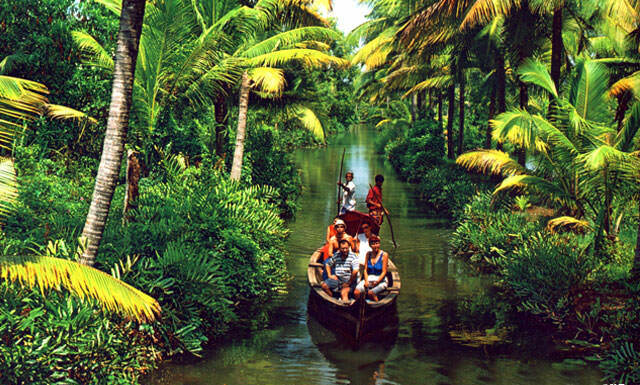 On arrival check in the houseboat and explore the backwaters of Kerala. Rest of the day is at leisure for your individual activities. Overnight stay at the hotel. After Breakfast check out the hotel and proceed to Kovalam. On arrival check in the hotel and relax for some time. Rest of the day is at leisure for your individual activities. Overnight stay at the hotel. 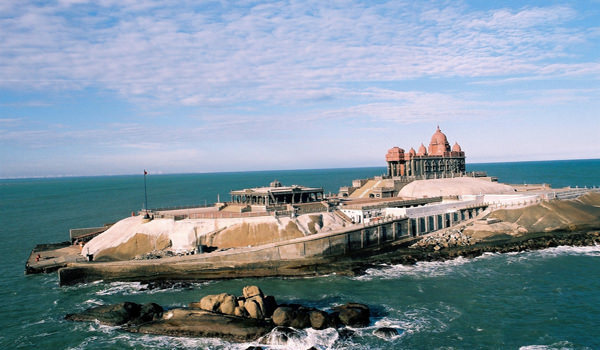 After Breakfast proceed to full day sightseeing of Kanyakumari which includes kanyakumari Mandir, Tri-Samudra Milan, Gandhi Mandapam and Vivekananda Rock Memorial. After sightseeing back to Kovalam. Evening is at leisure for your individual activities. Overnight stay at the hotel. After Breakfast visit kovalam beach. In afternoon proceed to half day sightseeing of Trivandrum which covers Padmanabha Swami Temple , Raja Ravi Varma Art Gallery and Napier Museum. After sightseeing back to Kovalam. in evening visit Kovalam Beach Farewell Dinner at Abad Palm Shore. Later back to the hotel. Overnight stay at the hotel. After Breakfast check out the hotel and proceed to Trivandrum airport/ railway station to board a flight or train for your onwards journey. Accommodation as per hotels mentioned or similar. Transfers and sightseeing by a non air-conditioned car. Local sight seeing – as per itinerary. Toll,Parking, Fuel charge and Driver allowance. Note: Personal expenses incurred during the sightseeing viz. pony/horse rides, boat rides, ropeway/cable car rides, skiing, skating etc, cost for same would be payable directly by the clients.